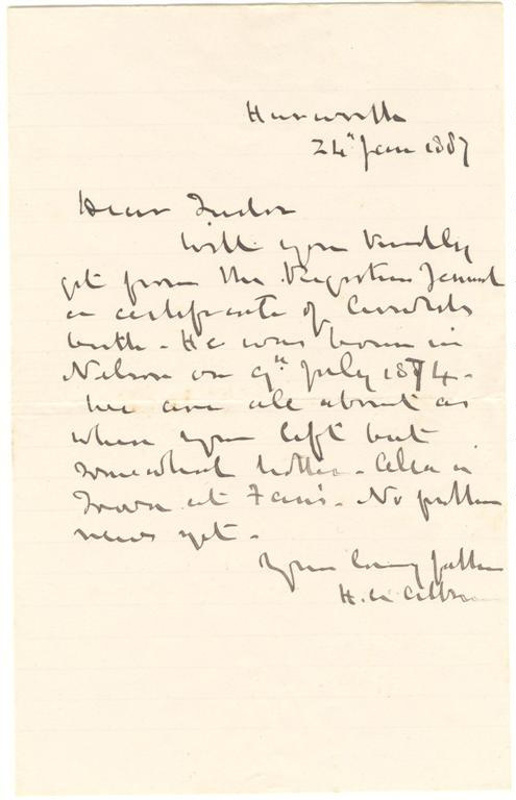 Letter; from Harry Atkinson to Edmund Tudor Atkinson, written from Hurworth and dated 20 January 1887. 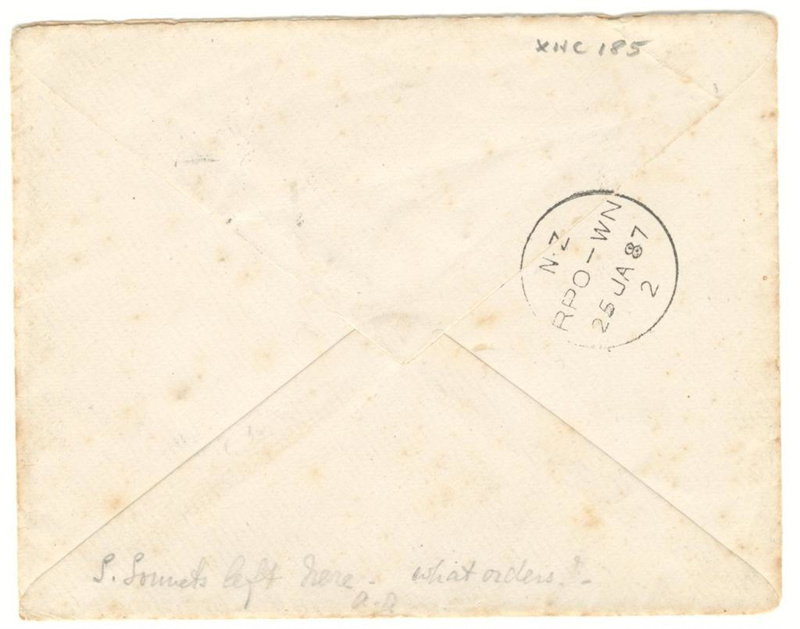 The accompanying envelope bears two one penny stamps, and is postmarked from New Plymouth on 24 January 1887. 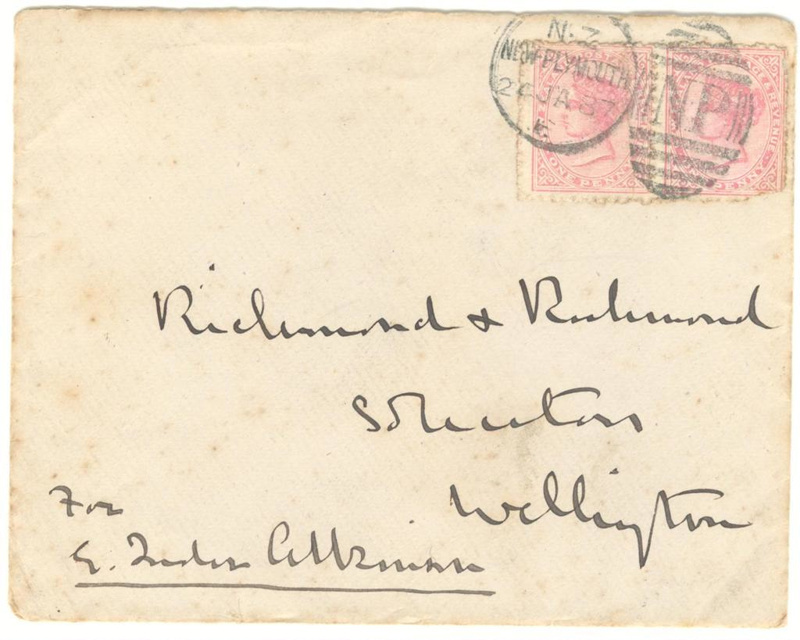 It is addressed to 'Richmond & Richmond / Solicitors / Wellington'. By 1887 Harry Atkinson, the builder and first inhabitant of Hurworth Cottage, had achieved a distinguished political career. He had been Premier of New Zealand three times, as well as having held a number of ministerial and local government positions, and would be again from October of that year until his death (he died in office, in his room in Parliament Buildings) in 1892. Edmund Tudor was Harry’s son, a barrister and solicitor, who married James Crowe Richmond’s daughter, Ann Elizabeth Richmond.